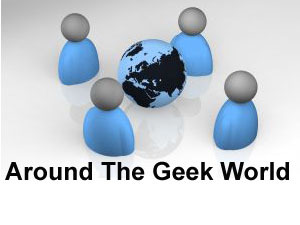 Around The Geek World is a monthly summary of interesting articles and news around the geek world with my brief comment. Linux-Unix cheat sheets – The ultimate collection – Scott Klarr has done an excellent job in putting together almost all the best Unix cheatsheets that you can find over the internet. A graphical way to MySQL mastery – If you are not a DBA and have to do a quick MySQL DBA activity, you can use the MySQL Administrator and Query browser that are part of MySQL GUI Tools bundle as explained in this article. 15 Tech Secrets for the Serious Road Warrior – Some of the tips are geared toward how you can effectively use SMS to do lot of activities while you are on road. For e.g. Check account balance, Shop in amazon via SMS etc., I’m sure you’ll one few tips that you can use even when you are not on road. Most Wanted Ajax Techniques: 50+ Examples and Tutorials – Even if you are not a programmer, I recommend that you take a look at the Ajax demo’s links from this article, to get an idea on how flexible and easy it is to build application using Ajax techniques. 12 Principles For Keeping Your Code Clean – Most of the items mentioned in this article may sound like common sense. But, most of the times to keep your code clean you need a little disciple and lot of common sense. The best part is the article explains the principles with very good images highlighting the codes. 12 Excellent Free Text Editors for Coders – Checking out text editors for Windows and Linux never gets tiring. I always enjoy trying out different text editors and play around with it’s features. Apple’s iPhone outsells BlackBerry – I have been a blackberry fanatic for several years now. Even the new blackberry storm is missing the cool factor of an iPhone. Looks like even the last quater iPhone sales reflects my sentiment. 17 Holiday Gift Ideas for Geeky Kids – It’s holiday season! Buying gifts for grown-ups is lot easier than buying gifts for Kids. Geeky kids will absolutely love all the items listed here. Linux: Should You Use Twice the Amount of Ram as Swap Space? – Vivek explains why you don’t need to follow this rule always. He also gives his recommended swap space size for a typical web server and oracle database server. The 50 Skills Every Geek Should Have – While “Contribute code to the Linux kernel” skill may be for extreme geeks, most of the items in this list is something every Geek can relate to. Oblong’s g-speak: the ‘Minority Report’ OS brought to life – Earlier only Tom Cruise can move visual images from a hi-fi computer screen using just hand movement. Now, g-speak has made it a reality. Make sure to watch the video on oblog website. USB 3.0 to Deliver a Tenfold Speed Increase – No need to start a data transfer over a USB and take a coffee break anymore. USB 3.0 spec has been created and released. But, it will take a while before we see any USB 3.0 device in the market. Oregon Woman Loses $400,000 to Nigerian E-Mail Scam – Probably everybody (maybe, except this women) knows about the scam email from bank of Nigeria. Even my granny has a filter that moves anything from Bank of Nigeria to trash directly!. Read through the digg comments on this article to get an idea on what diggers think about this scam. Final judgment: SCO owes Novell millions – Finally the whole SCO fiasco is over. It’s official now: SCO owes Novell over $2.54 million (plus interest).